A good suit is a fundamental part of your wardrobe. Whether you opt for a traditional button-up and tie combo under your suit or something more casual like a sweater, you want to look good. Did you know that your suit works harder than ever? Find out how to get the most out of these style workhorses below. This wardrobe staple is timeless and so versatile. Navy is a neutral, easy to pair and works for almost all occasions. It’s a classic that’ll wear as well now as it will in five years. From dressed up to dressed down, see it styled three ways. We paired the suit with a light blue shirt, a tie and black dress shoes. The blues are in the same color family and work well together. Also, by adding other neutrals, like black or gray, you won’t risk other elements of the outfit clashing. This all adds up to a traditional look you can wear on repeat. Same suit, different day. Here, we have the same suit paired with a casual shirt and sweater. The structure of the zip-up and rust-colored shirt complement each other. Throw in a few final touches that ground one of the colors, like brown. 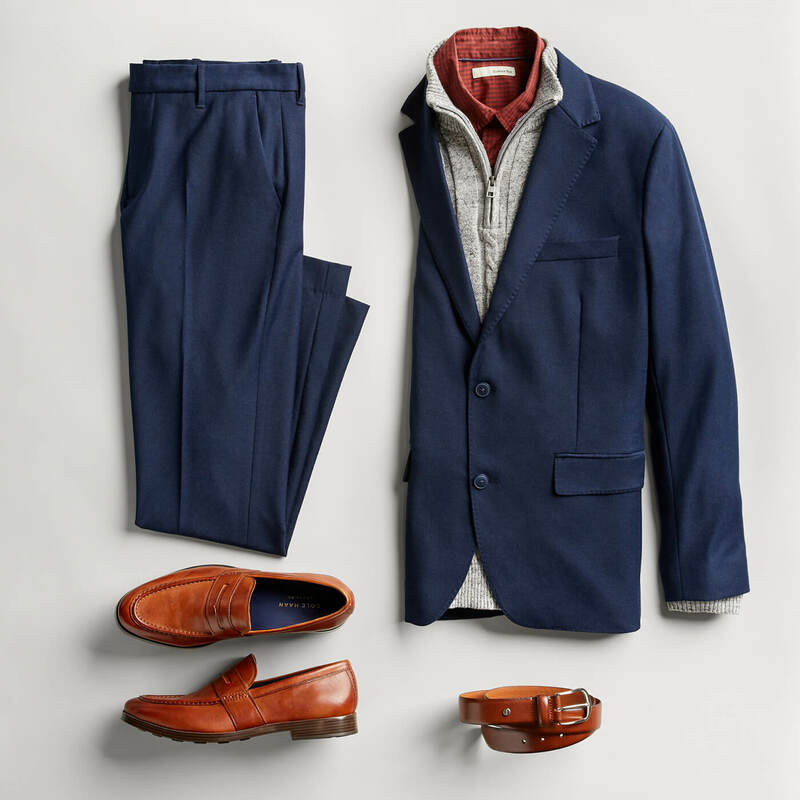 This getup strikes a nice balance between polished and comfortable. Even just half a suit can get the job done. 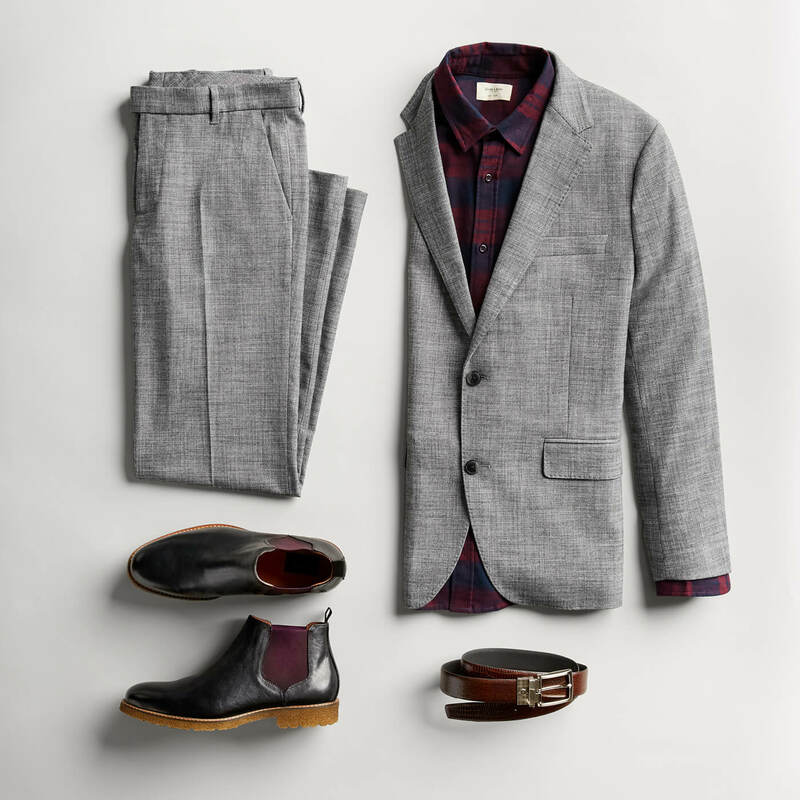 This time, we’ve separated the jacket to wear with a plaid shirt, dark denim and tan boots. 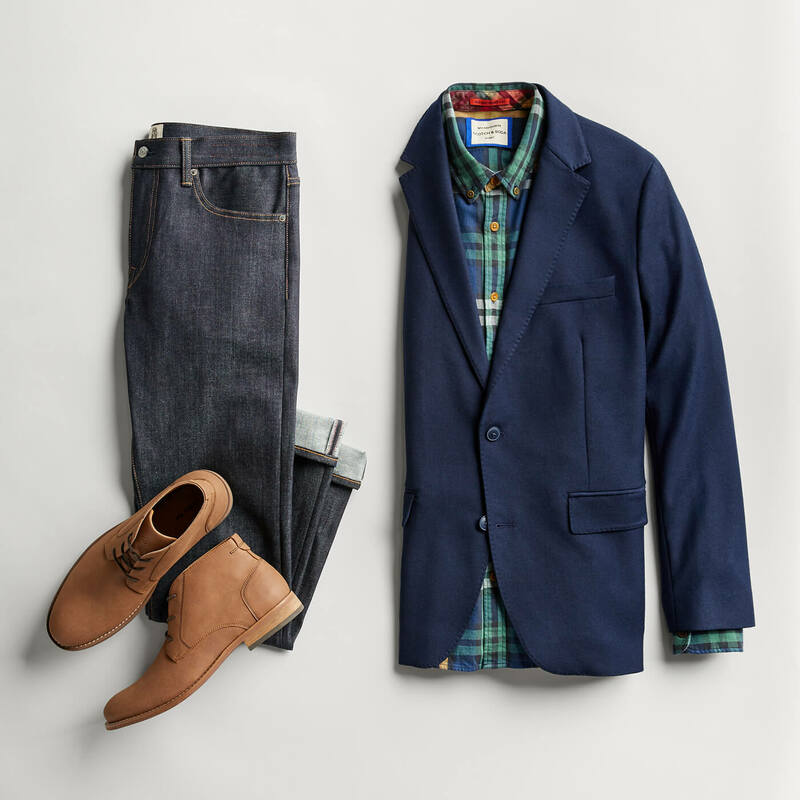 The navy wears nicely with the colors of the button-down and the boots lend a lighter accent to an otherwise dark outfit. 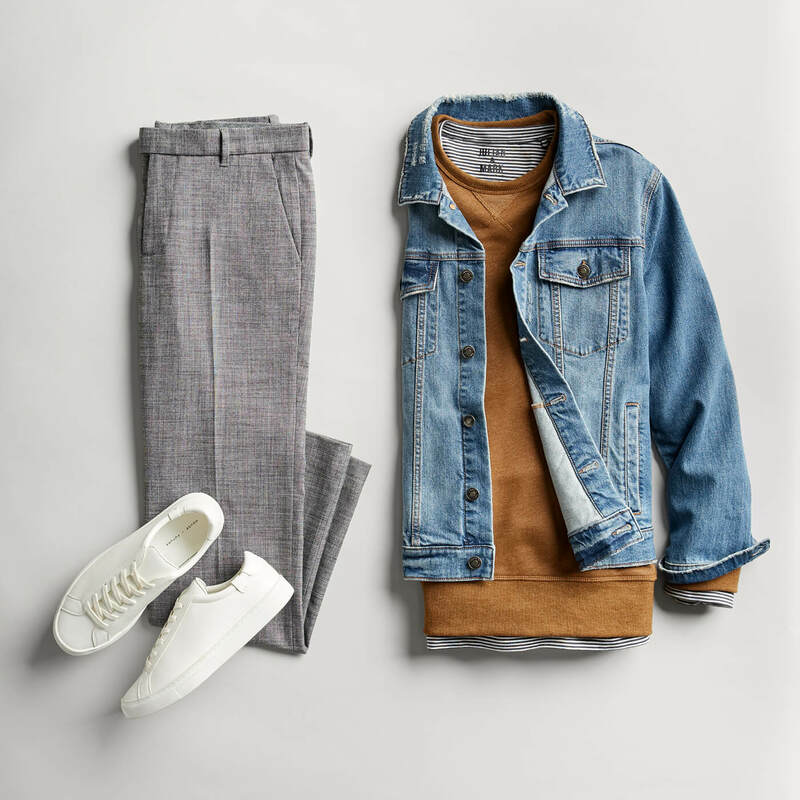 This reads on the casual side but still looks put-together. 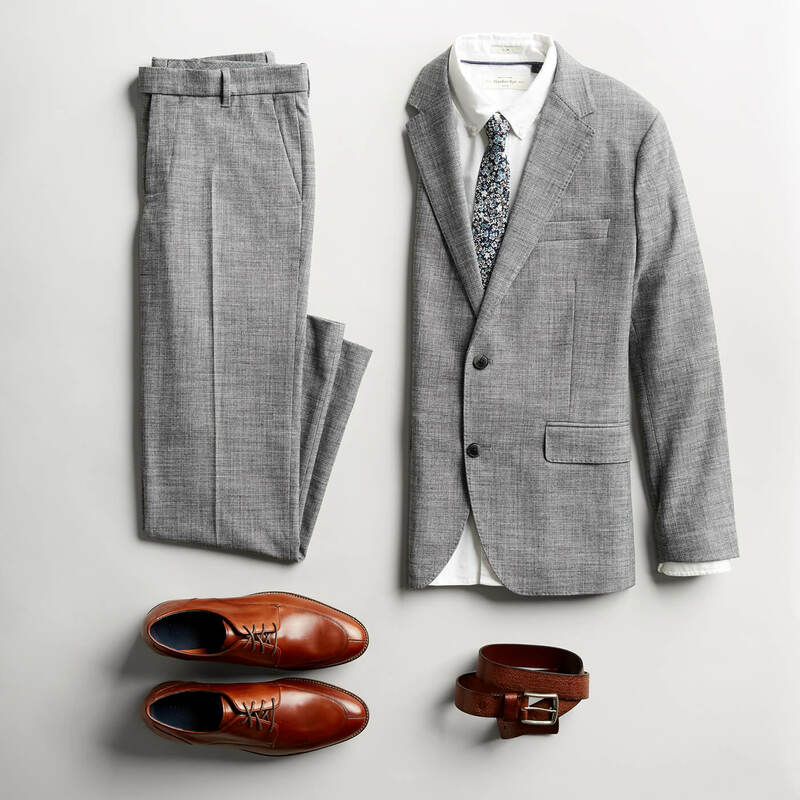 Less common but equally essential is the gray suit. It stands out in a sea of your typical blue and black examples. This option feels modern and sharp without breaking the mold. Below, are three ways to wear this understated piece. This one is straightforward. The white shirt adds a nice highlight against the gray and complements the patterned tie. The stand out here is actually the brown leather shoes and belt, which really pop against a neutral. The result is a clean, polished and easy look. Gray has great pairing potential with darker colors, too. The red and black plaid with leather boots take a backseat. Switching this up is a fresh take on the usual white shirt and dark suit pairing. This outfit is modern and sophisticated—perfect for dates, dinners and even the office. 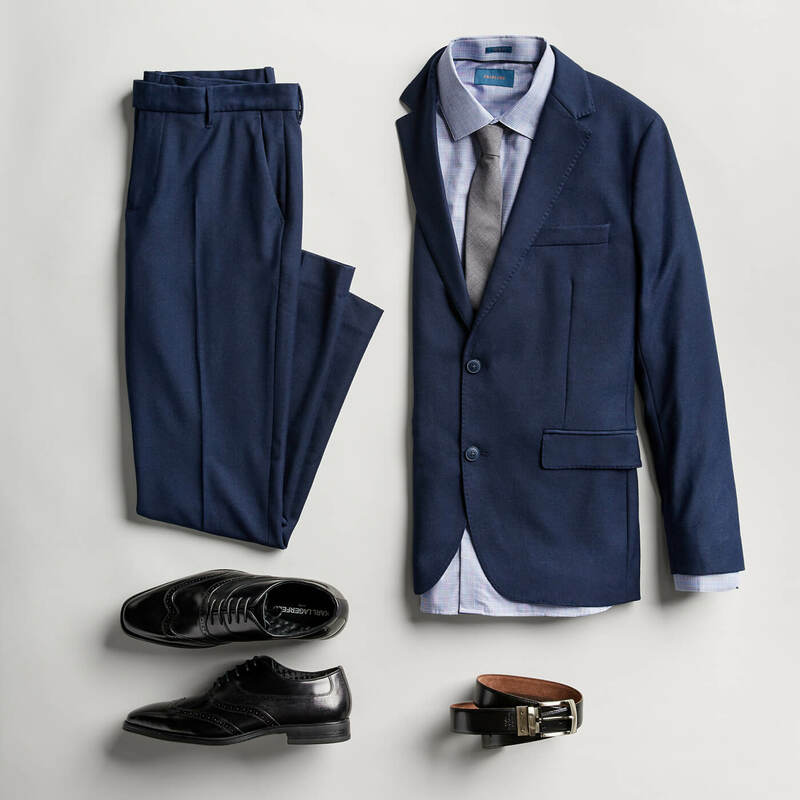 Ready to mix & match your suit? Tell your Stylist to send separates in your Fix.